Anime Limited to release Love Live! Sunshine!! in United Kingdom. Simulcasting to UK & Ireland at Crunchyroll in Summer 2016. We’re only days aways from the start of the Summer simulcast season getting underway and today bring you some very exciting news! 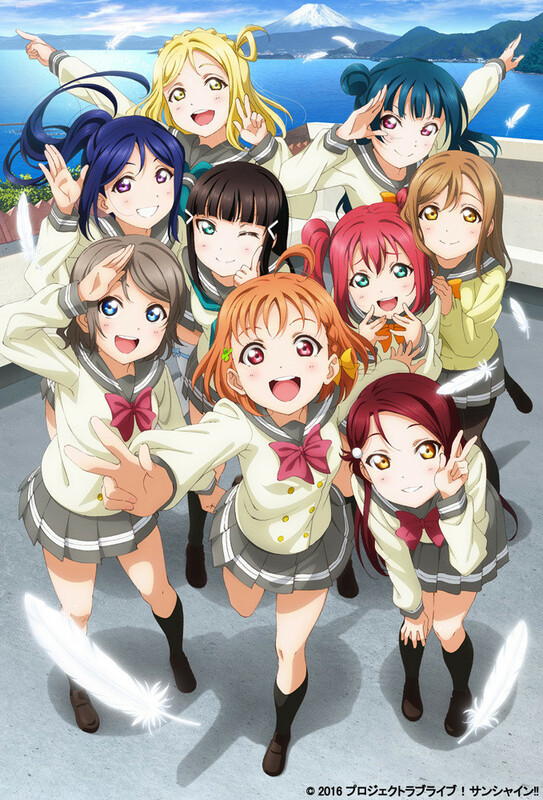 Get your glow sticks out as we’re delighted to announce that we will be bringing the series Love Live! Sunshine!! to the United Kingdom. Love Live! Sunshine!! is the sequel to the phenomenon that was Love Love! Having had two seasons of anime and a follow-up movie, Love Live! Sunshine!! is the next generation in the franchise. Synopsis: Uranohoshi Girls’ High School, a private school in the seaside neighborhood of Uchiura at Numazu city, Shizuoka prefecture. All we have to do now is keep pushing hard for fame and glory! We’re delighted to confirm that we will be bringing this series to both Blu-ray and DVD in the United Kingdom. The only details we can share with you right now is that this will be happening next year. So it’s TBC 2017 until you hear otherwise. But the show hasn’t even aired yet so how are you going to see it during the summer season? We’re also delighted to confirm we have partnered with Crunchyroll to simulcast the series exclusively to the UK & Ireland. You can watch a subtitled trailer for Love Live! Sunshine!! below. We also want to take a moment to mention that if you’ve not seen Love Live! before, our good friends at MVM Entertainment have released both seasons on Blu-ray and DVD. Crunchyroll streamed both seasons as it was airing. Stay tuned for more details on this as we can bring them. Thank you so much! I was ecstatic to see a simulcast had been announced but even more so to see a home release confirmed for 2017! I’ve been following Aqours for a year now so it’s great to have more ways to support them in the UK. Thanks again!